Have you ever wanted to leave your bag (or whatever you will be carrying) somewhere in town for a while and return later on to collect it? If you are like me there is a startup that can help us get on with our other business whilst our bags are kept safe somewhere. 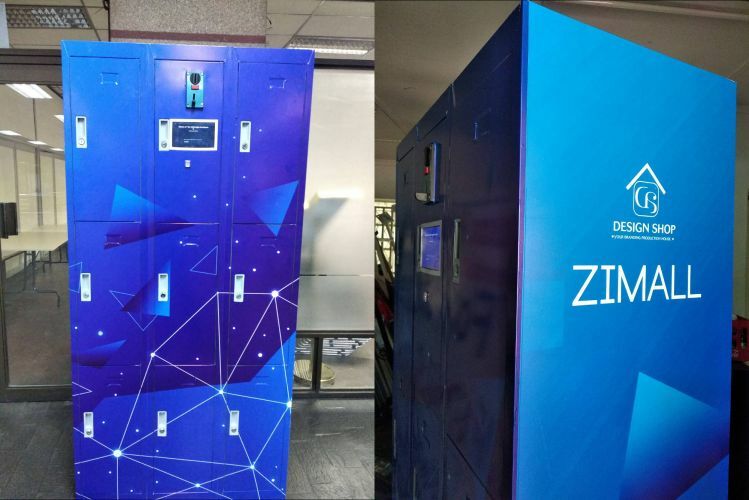 The guys who were behind the Zimall e-commerce platform have come up with service that lets you rent a locker to store your bag for a certain fee per hour. The automated self-service lockers enable you to pay for storage, put your bag in the locker and collect the bag alone without any human intervention. It’s self-service. Its costs 50cents (bond or mobile money) per hour to store your bag/luggage depending on the size of the locker size you need. The lockers will be integrated with all mobile money payment solutions so will be able to pay with Ecocash, Telecash, and Netone. At the moment there seems to be no facility for paying with a debit or credit card. However, if you don’t have money in your mobile wallet, don’t worry you can also pay with bond coins. Are the lockers available yet? The lockers are not yet installed in public places yet but you can visit Batanai Mall to see a prototype of this locker. Its seem like a good service but I’m not convinced it will be profitable in the current economic environment where people are not willing to easily part with their Bollars (bond notes). Even though its a really good service, but frankly It’s not that indispensable such that people can spend their hard-earned Bollars on it. Who do they share our biometric data with? Why do they have to share it with someone? Besides they didn’t collect other specific info like bank cards, names ids etc that can be matched to yo bio data. They just scanned finger print which is available on anything that you touch. how do I contact ZIMall? I can think of plenty of illegitimate uses these lockers could be used for, unless they are guarded/monitored. Even Mr. Crow Bar might be able to beat the biometric lock. What happens when your goods overstay the storage period you can afford, e.g., if I genuinely forget a package? Certainly a great idea . . .they can rent their services out at gym facilities ,Banks(for personal item safe depositing)sporting facilities,airports i think that will also expand their service options.Another option will be to expand capacity to allow for storage for stuff like bicycles within the CBD (I predict cycling to work is going to be an in thing in the coming years).Each of the above will require a different price model though.Just something to think about.